Have you ever wanted to display an image, gallery, or whole album for a limited time only? Whether your gallery features seasonal images, holiday sales, contests or giveaways, or other limited-time images, it’s a hassle to have to turn them on and off at the right time. 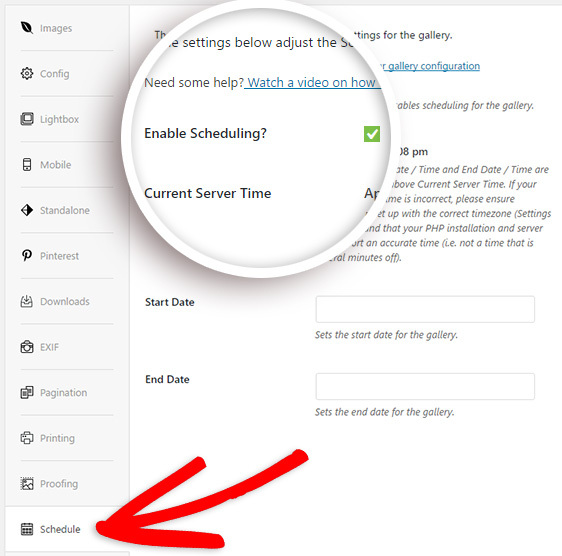 With the new Envira Gallery Schedule Addon, scheduling your images, galleries, or albums is as simple as checking a box and entering your start and end times. To set a time for a whole gallery or album to display, edit your gallery and click on the Schedule tab. Then, just click the Enable Scheduling? checkbox. Next, just enter your Start Date and End Date below. 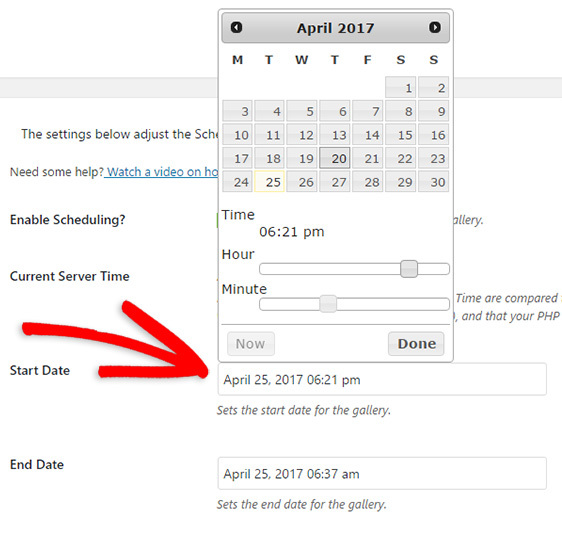 You can choose any date and enter a time down to the minute. 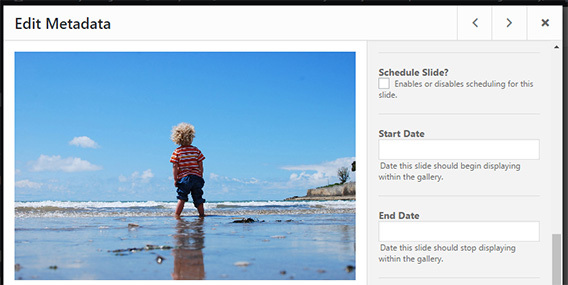 You’ll also find scheduling settings when editing individual images. Now there’s no need to wake up at odd hours to disable a gallery. You don’t have to worry about dealing with unhappy users after forgetting to disable that limited-time sale or contest, or looking out of touch with galleries that are past their season. As always, we thank you for your support! We look forward to helping you create beautiful photo and video galleries with the best WordPress gallery plugin.